Get instant savings by purchasing a Kushinagar vacation package. Just pick out your favorite options and Expedia will do the rest. Would you like to save up to C$590*? Purchase a travel package on Expedia now! Pick from more than 400 partner airlines and 321,000 worldwide properties via our extensive database of flights and accommodations. Fly with who you want, stay where you want — now that's the perfect vacation! It can be quite pleasant to just roam the streets when you're in a new place, but sometimes it's sensible to have a plan in place. Grab your schedule — we have loads of wonderful ideas for your impending Kushinagar vacation. Constructed to pay homage to one or many gods, temples afford visitors a fascinating look into another way of life. Learn about the local faith and wander through the spiritual sanctuary of Wat Thai Temple. Still have time on your hands? Built to honor one or many gods, temples offer visitors a fascinating glimpse into another religion and culture. Learn about the local belief system as you step into the spiritual sanctuary of Mahaparinirvana Temple. Unfortunately, there aren't many accommodations to pick from in Kushinagar. The Rahi Pathik Niwas (Buddha Marg) is the only Expedia-listed property close by. Gorakhpur Airport (GOP) is the gateway for most people taking a trip to Kushinagar. It's based 25 miles (40 km) from the center of town. 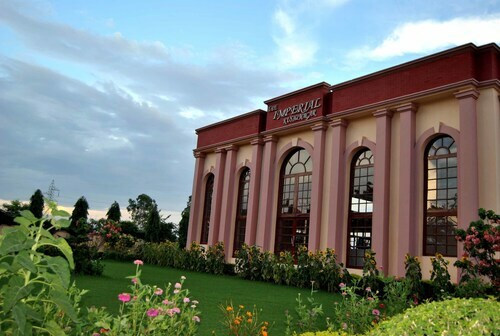 Situated in Kushinagar, this hotel is within 1 mi (2 km) of Ramabhar Stupa and Wat Thai Temple. Mahaparinirvana Temple is 1.4 mi (2.3 km) away. 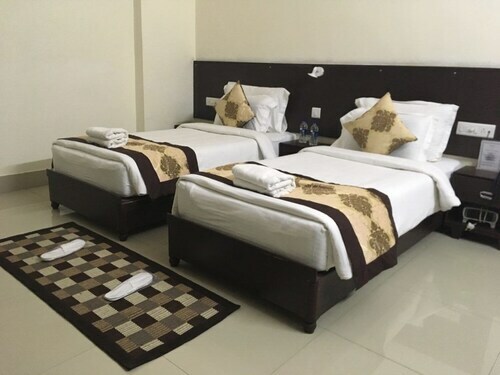 Situated in Kushinagar, this hotel is within a 15-minute walk of Mahaparinirvana Temple and Wat Thai Temple. Ramabhar Stupa is 1.1 mi (1.8 km) away.